If there’s anything The Sopranos taught us, it’s blood is thicker than water, and family comes first. Now, life – or at least showbiz – has truly reflected art as James Gandolfini’s son will play a young Tony Soprano, the role which catapulted the late, great actor to superstardom. 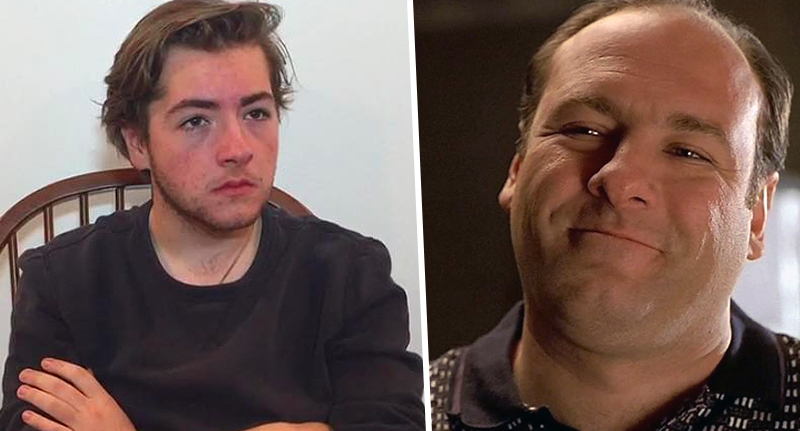 Michael Gandolfini, aged just 19, has been cast to play the crime family boss portrayed by his dad in the hit show The Sopranos in a new prequel film, The Many Saints of Newark. The young actor who you might recognise from The Deuce and Oceans Eight, was chosen to play Tony Soprano after an extensive auditioning process, insiders told Deadline, who dubbed him a ‘chip off the old block’. It’s a profound honour to continue my dad’s legacy while stepping into the shoes of a young Tony Soprano. I’m thrilled that I am going to have the opportunity to work with David Chase and the incredible company of talent he has assembled for The Many Saints of Newark. The prequel to the HBO series is set amid the unrest of the 1967 Newark riots, as tensions erupted between the African-American and Italian-American communities, leaving 26 people dead and hundreds more injured. The film will place the spotlight on Richard ‘Dickie’ Moltisanti, played by Alessandro Nivola, who’s the father of Christopher Moltisanti, played by Michael Imperioli in The Sopranos. He was also mentor to Tony and was frequently mentioned in dialogue. Dickie was at the narrative centre of a storyline in the show’s season four opener, For All Debts Public and Private, as Tony led Christopher to kill retiring police Detective Lt. Barry Haydu, who he claimed had murdered Dickie. Here’s where Michael comes in; he’ll be playing a young Tony in The Many Saints of Newark as he learns the ropes in the fictional crime family. Michael’s ‘screen presence’ and ‘mastery of Tony’s mannerisms’ alongside his uncanny resemblance to the elder Gandolfini made him the ‘standout choice for the role because no one there understood the character better’, according to insiders. Gandolfini joins Jon Bernthal, Vera Farmiga, Corey Stoll, and Billy Magnussen on the incredible cast list so far. The casting announcement comes at a time of nostalgic revival for the series, which famously ended on a cliffhanger. In fact, The Sopranos is celebrating its 20th anniversary of its January 1999 debut this month, and many are taking the opportunity to remember the magnificent portrayal of the criminal anti-hero by the original and unforgettable actor who played Tony. James Gandolfini died on June 19, 2013 while on vacation with his son in Rome, Italy after having a heart attack. Michael was the one to find him fallen in his hotel room. At the time, tributes poured in from all over Hollywood in the wake of his death, praising his talents and impact he left playing Tony Soprano. Michael is the son of Gandolfini and Marcy Wudarski, who was married to Gandolfini Senior from 1999 to 2002. Undoubtedly, his is one of the best series character portrayals in American TV history, with Gandolfini managing to capture the peaks and trough of a life of crime. The character, written by David Chase, is loosely based on a real-life New Jersey mobster named Vincent ‘Vinny Ocean’ Palermo, a former capo and de facto boss of the DeCavalcante crime family.